Beautifully textured blankets show off cream-colored yarns. Casually elegant coats and cardis shine in tweedy yarns. Boldly hued kids' accessories to warm up a winter's day. Stitch counters, color-coded circs and other tools to make your knitting life easier. 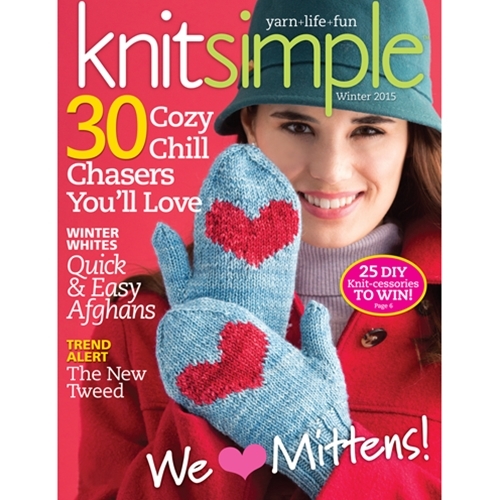 Quick cowls, one-skein baby wear, angry birds, arm knitting and more. A mega-bulky cowl that can also be worn as a snood.